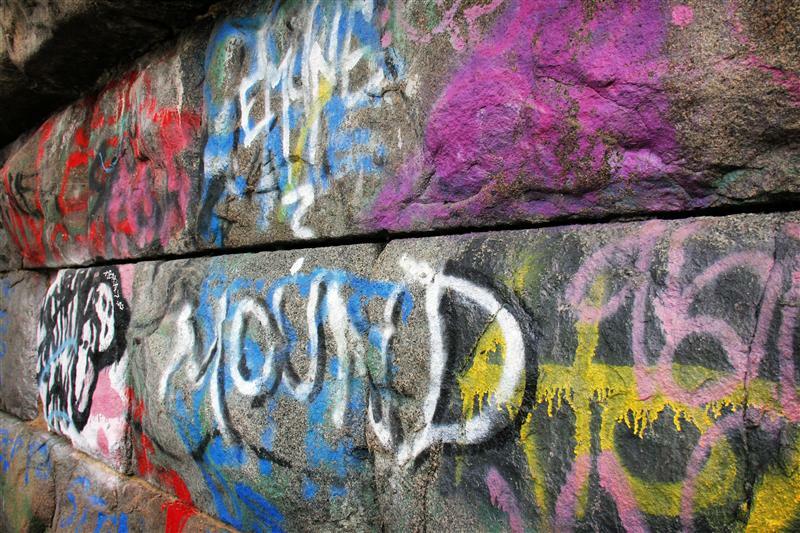 Several weeks ago when I interviewed Metro-North’s president, a few people (especially @CapnTransit on twitter) called attention to the question about Millerton – and specifically the “how do you de-map a rail trail,” comment that Mr. Permut made. It is an interesting point – in some ways a rail trail preserves a former railroad’s Right of Way, but the restoration of a rail line from a rail trail is exceedingly rare. 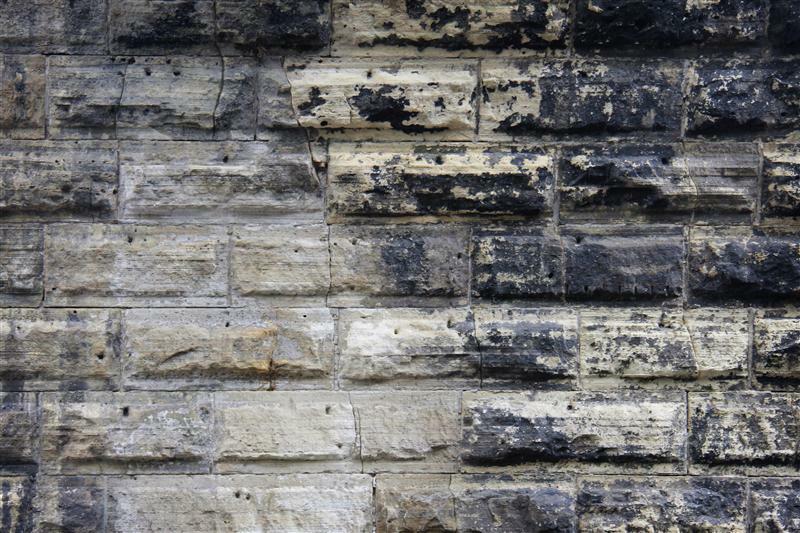 Railroad bridges that are converted to rail-trail use are even more problematic. Bridges are not cheap to build – and what happens if at some point in the future we wish to restore the rail? A passenger rail link over the Hudson would be nice – and the likelihood of it happening with the Tappan Zee project is practically non-existent – but let’s not forget that we did have a rail bridge over the Hudson, though it is now the Walkway Over the Hudson. I’m really divided on my opinion of rail trails – obviously, I’d much rather see it as a railroad. But at the same time, it does preserve a little bit of the history – which is better than it being totally forgotten and lost to time. All of these thoughts came to mind recently when I visited Minneapolis. 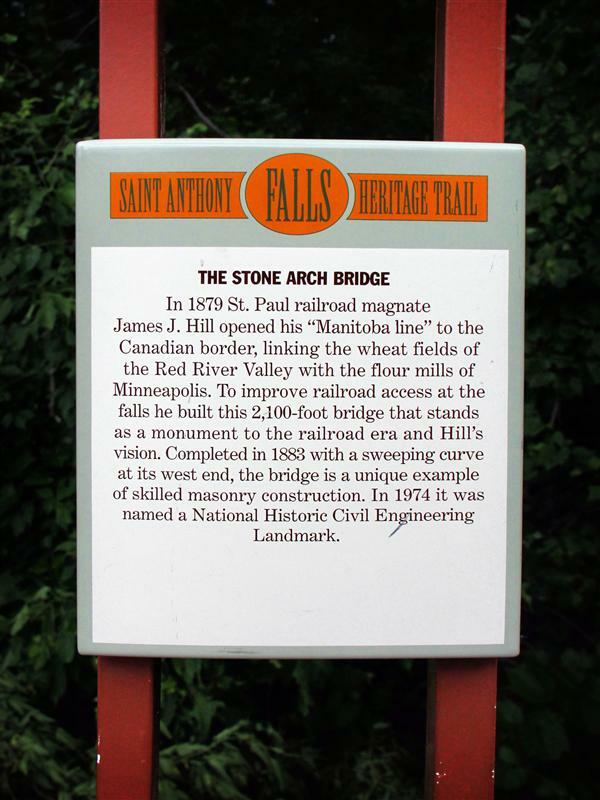 The beautiful Stone Arch Bridge, built in 1883 by the Great Northern Railway, is now a pedestrian bridge, and part of the Saint Anthony Falls Heritage Trail. 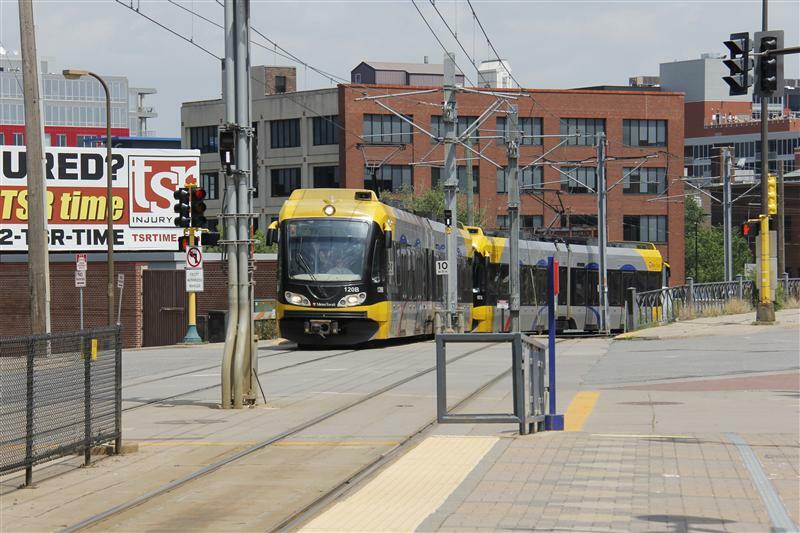 The interesting part of the story is that passenger rail travel is being revived in Minnesota – I’ve introduced you to the relatively new Hiawatha Line light rail system there. A second line, the Central Corridor, is currently under construction. 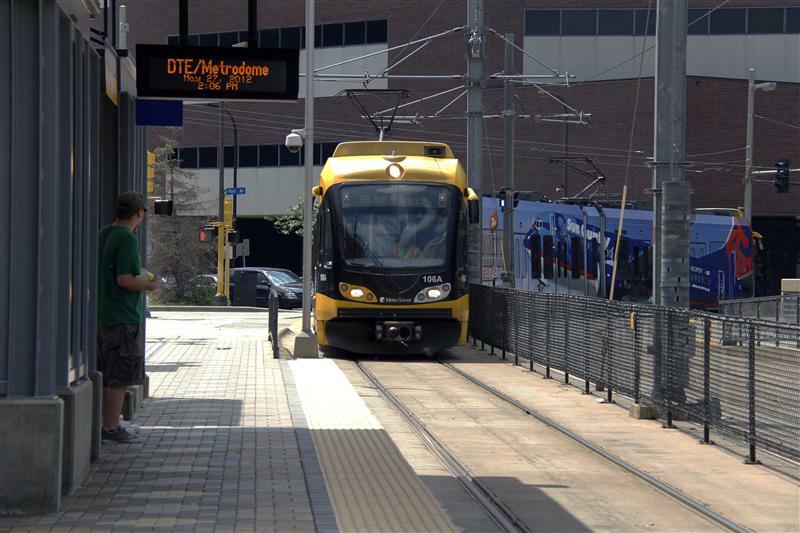 This new line will travel from downtown Minneapolis to Saint Paul – a journey that requires a crossing over the Mississippi River. The map above displays Minneapolis’ river crossings, and their relation to the new light rail system. 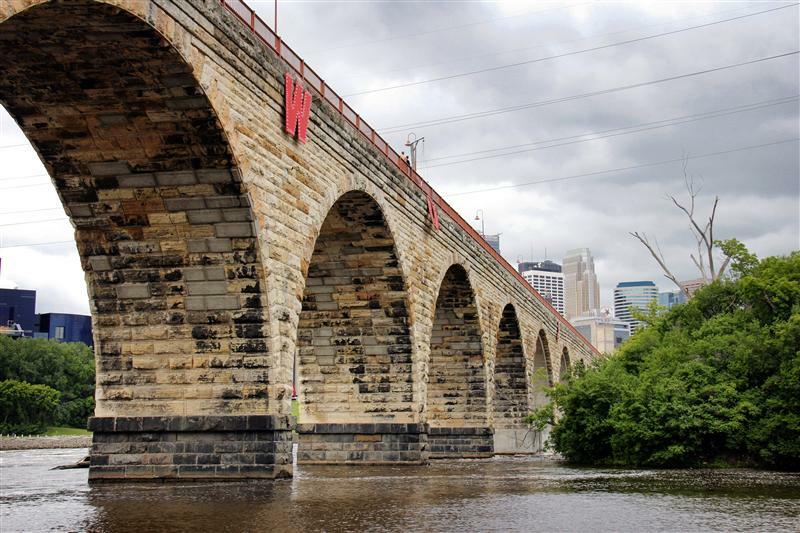 In order to accommodate the Central Corridor’s crossing over the Mississippi, the Washington Avenue bridge will be modified. 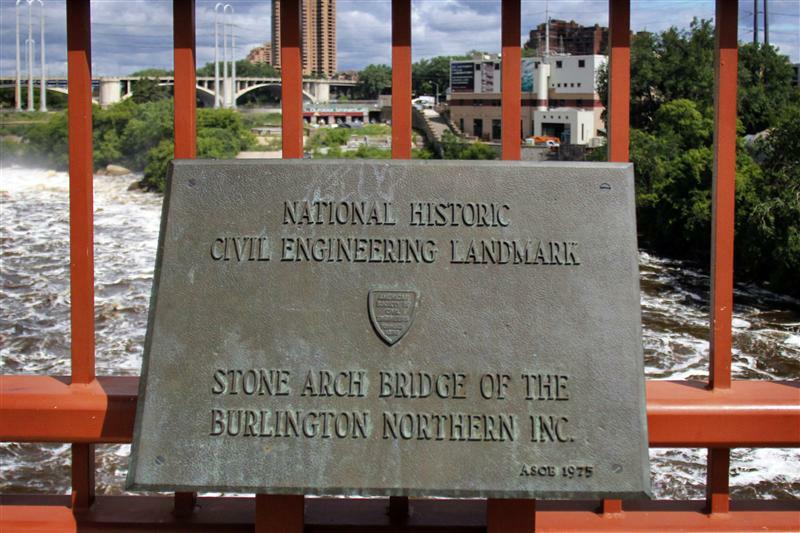 It is interesting to note that there are two former railroad bridges – the Stone Arch, and Northern Pacific #9 – that could have been used for this purpose, had they not been converted to pedestrian use. Several other railroad bridges are visible on the map, only one of which is currently in use for passenger rail, MetroTransit’s North Star Line. Postcards of trains crossing over the bridge. 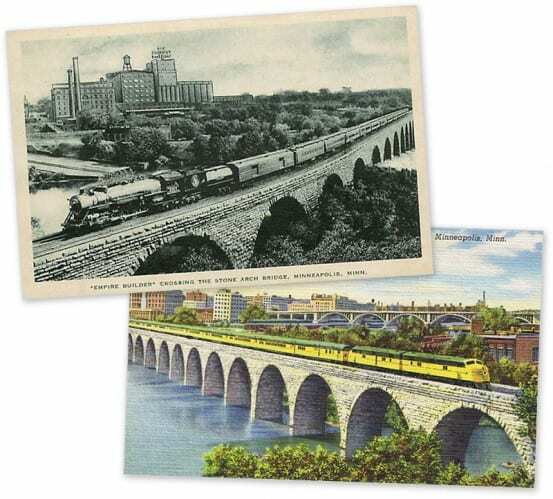 Visible in the background of the second postcard is the Cedar Avenue Bridge (now called the 10th Avenue Bridge), built in 1929. In 1964 construction began on the I-35W Mississippi River Bridge, located in between those two bridges. This was the bridge that tragically collapsed during rush hour in 2007. 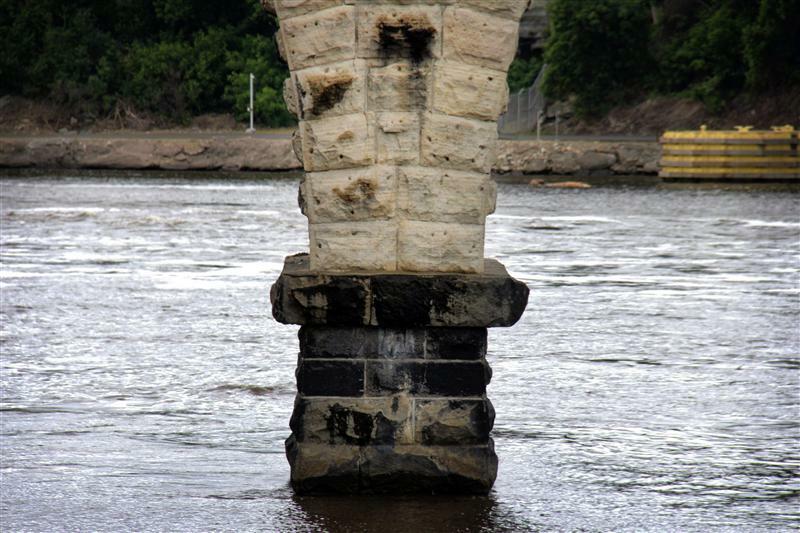 It has since been replaced by the Saint Anthony Falls bridge. 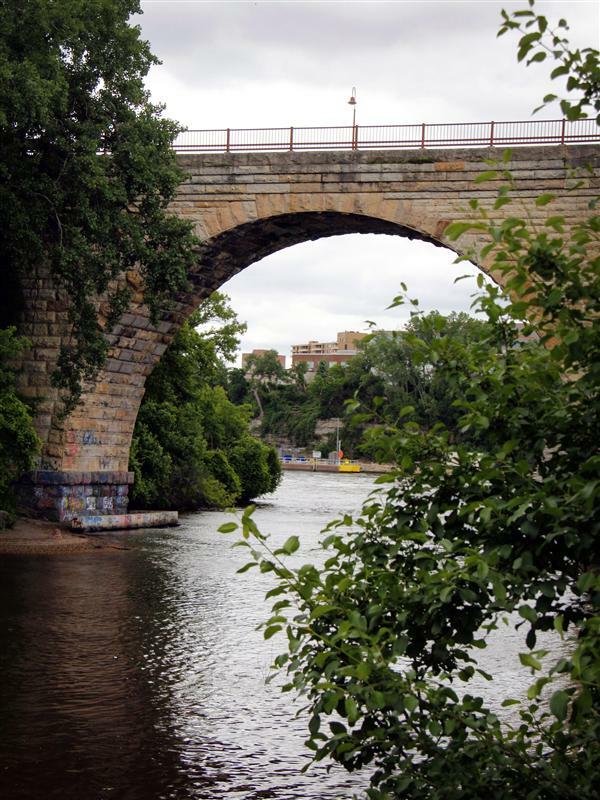 Though it may no longer be used by the railroad, it is undeniable that the Stone Arch Bridge is quite lovely. 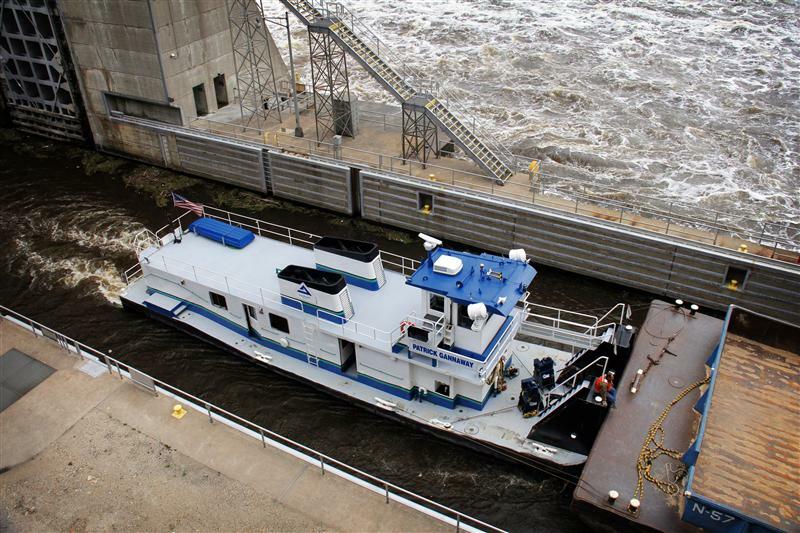 It provides attractive views of the river, and if you’re lucky, maybe you’ll even catch a glimpse of a boat passing through the lock at Saint Anthony Falls. View from the Guthrie Theater… why, oh why, did you have to tint your windows? 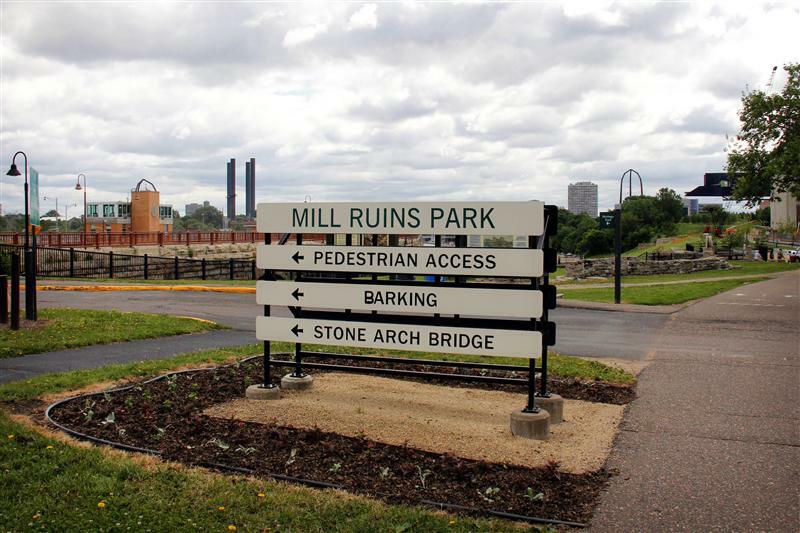 If the Stone Arch Bridge is the old version of this post, Downtown East – Metrodome, a few blocks away from the bridge, on the Hiawatha Line would be the new. 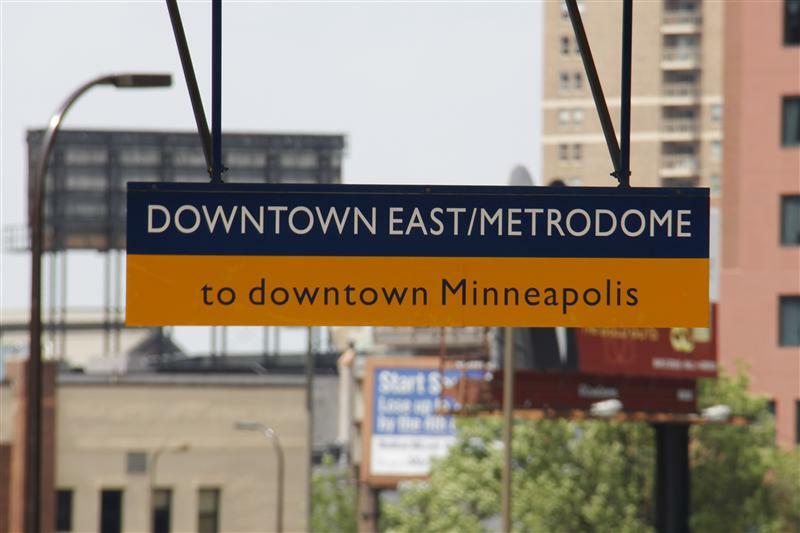 I think I’ve made it abundantly clear how much I love the public art along the Hiawatha Line – and I think that the art here at Downtown East – Metrodome may be the jewel of the entire system. 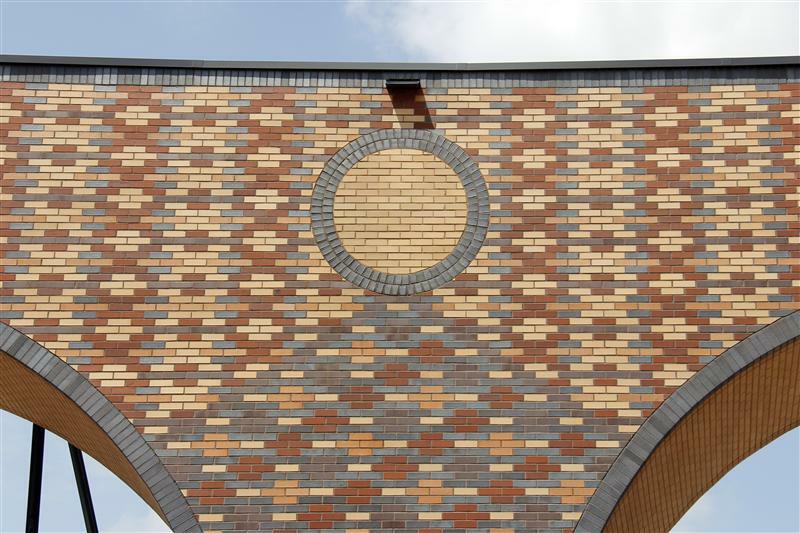 The massive arches – designed by artist Andrew Leicester – don’t require you to be a rocket scientist to figure out. 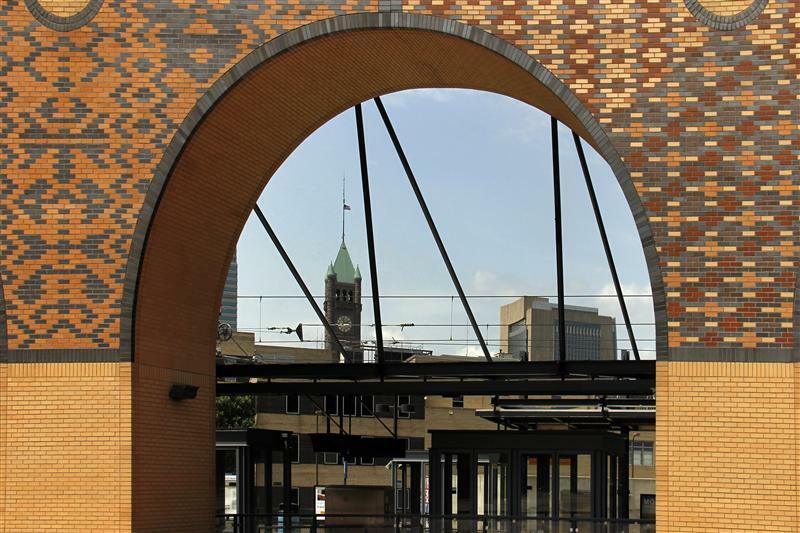 Created to evoke the image of the Stone Arch Bridge, the arches are decorated with beautiful colorful brickwork. 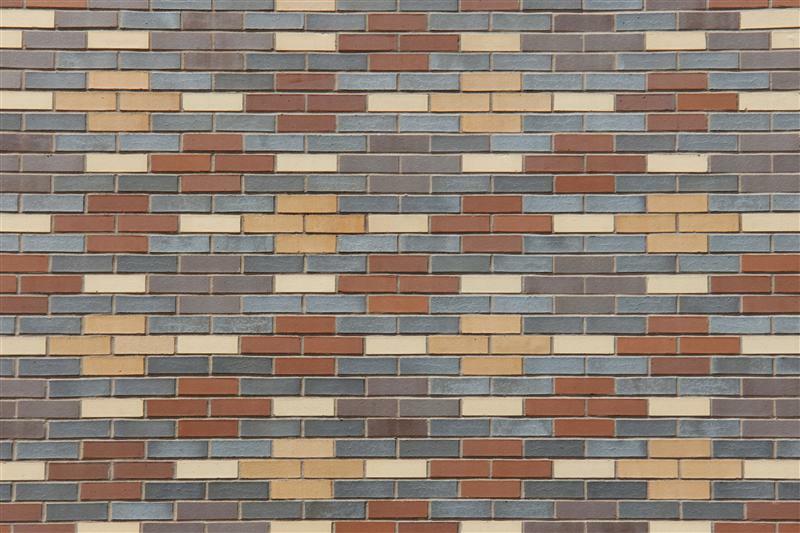 The brick designs are influenced by the clothing patterns worn by the nineteenth-century immigrants to the area. Leicester is a prolific public artist, and no public artist’s career would be complete without a commission for New York’s Arts for Transit program. 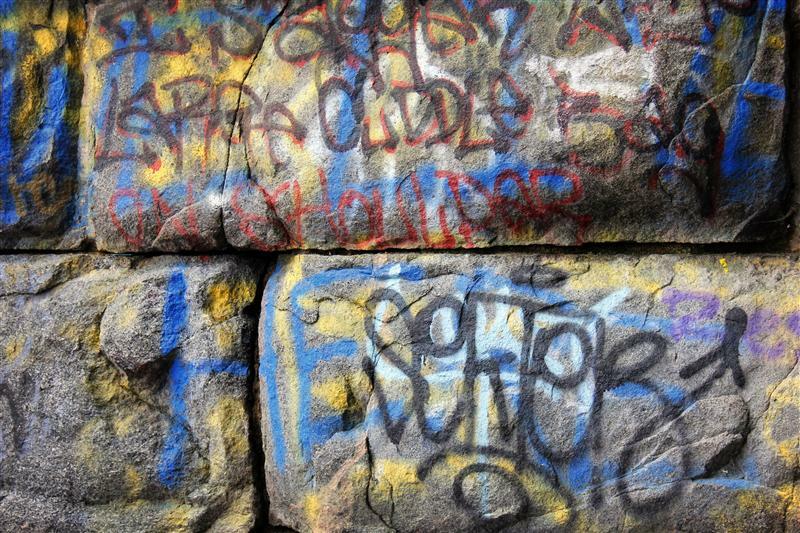 Long Island Rail Road riders are more familiar with his piece in the city, however. 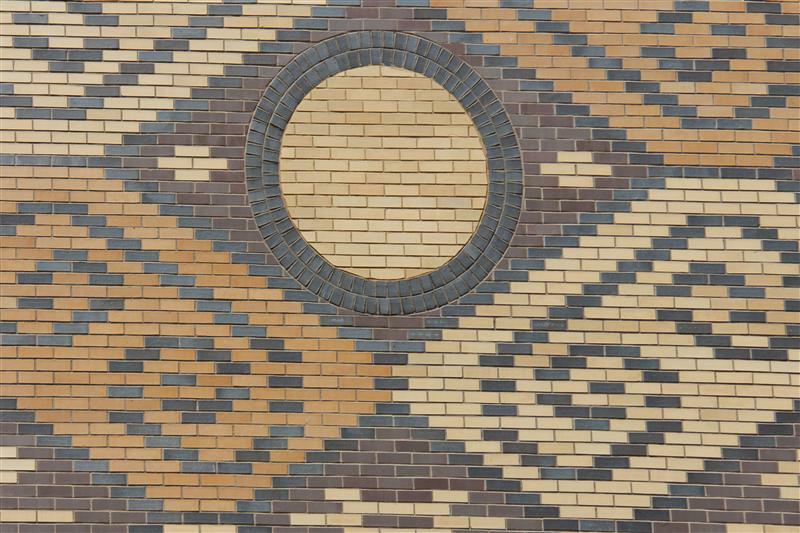 Located in Penn Station, Leicester’s terra-cotta murals evoke the Penn Station of yesteryear. His blend of art and history is definitely something that I appreciate. That is about it for today’s visit to Minneapolis – believe it or not, I still have a few more photos from my travels there, which I will likely share in the next few weeks! In terms of the Harlem Valley Rail Trail, there are two main pieces. First part runs from Wassaic to Millerton. After an 8-ish mile gap, the trail picks up near Boston Corners and runs to Copake Falls. The total length, two parts combined, has to be around 14 miles – so not even close to the full length of what the Upper Harlem was. Their goal always was Chatham, but that isn’t going to be reality anytime soon. You’re perfectly welcome to link whatever on here to “the railroad site.” I suppose it would be an interesting conversation – though I’m fairly certain Jaap has gone on record quite vocally against having trails right next to the existing rails due to the safety issues you mentioned. I suppose this is somewhat relevant, as the HVRT was looking to extend southward – to whatever the “village” area of Wassaic is. I’m not sure if they ever got the “go ahead” to do this, but I remember there was talk about it. 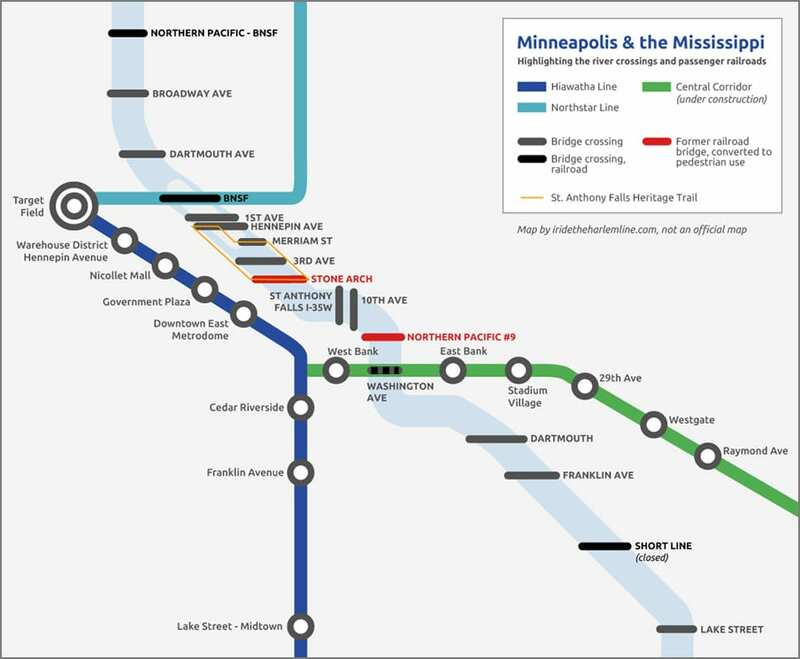 The map of bridges crossing the Mississippi in Minneapolis is brilliant, although “Dartmouth” should actually be “I-94.” It’s also worth noting that the “High Line” bridge is still in service – it’s how the Minnesota Commercial reaches all of the grain elevators along the Hiawatha Line, and, coincidentally, how Metro Transit receives delivery of their LRVs. 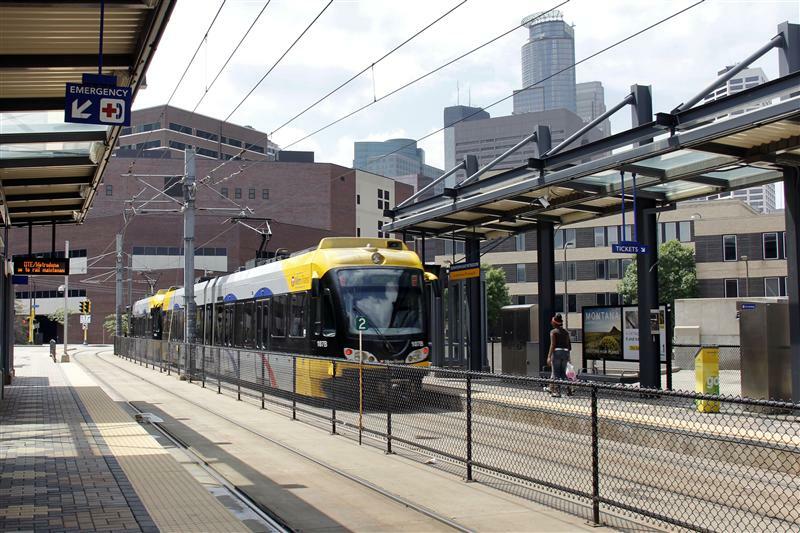 I look forward to more coverage of the Twin Cities – love your perspective. Thanks! I’ll have to fix that map. Good morning, Emily. 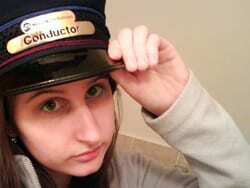 I’m an eastern ex-pat (and former frequent rider of the New Haven Railroad, the Hudson Tubes and the Lackawanna electrics, among others). I have lived for decades in the MSP area and I am fascinated to see a fresh-eyed view point regarding things I live with every day. 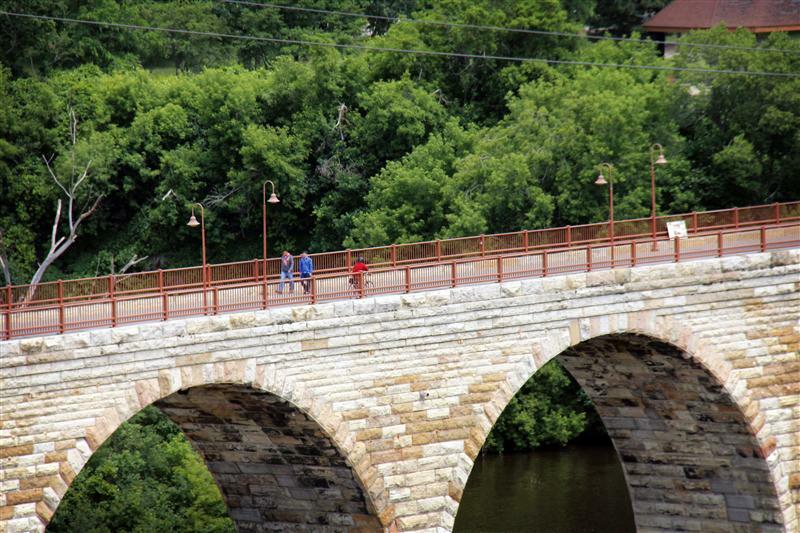 I think that the conversion of the Stone Arch Bridge into a bicycle and pedestrian bridge was one of the best things to happen to Minneapolis in recent decades. 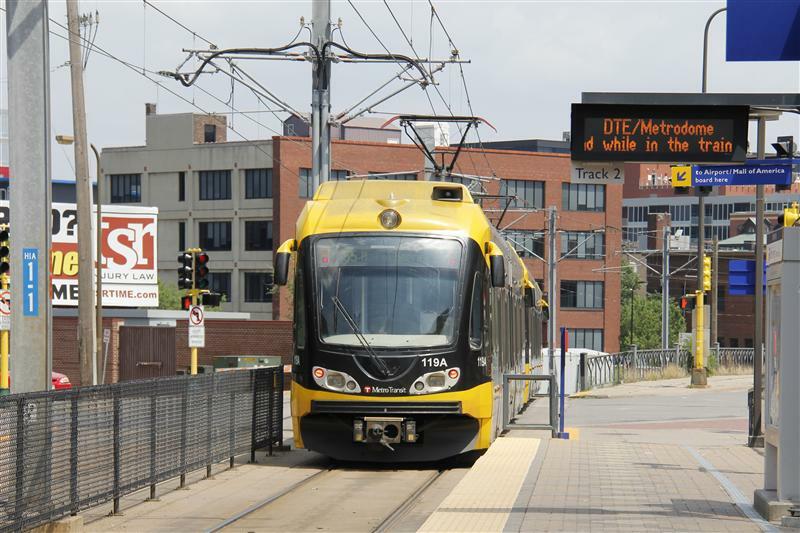 It greatly improved bicycle commuting to/from the neighborhoods across the river from downtown, which include a significant part of the University of Minnesota. 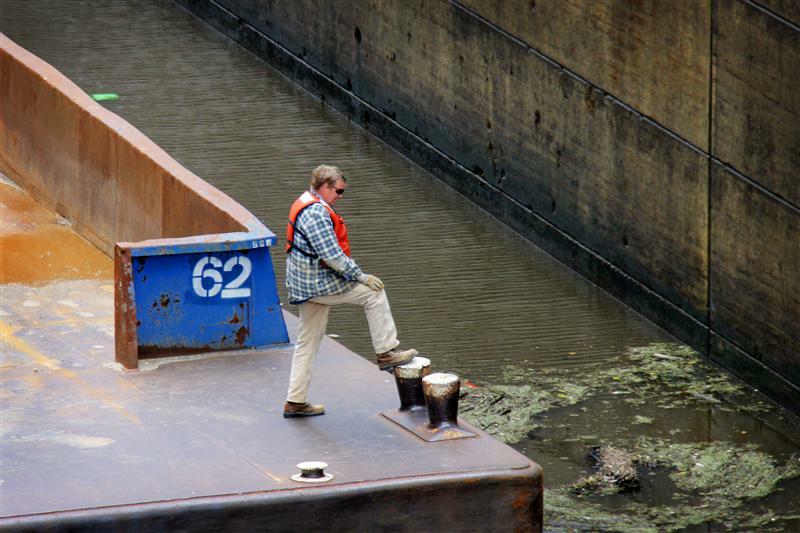 Along with the downtown condo boom, the bridge has also become a draw for people who walk, both locals and out of towners, and it’s one of many factors that has encouraged the condo boom on previously derelict riverfront properties. The railroad mergers of the past thirty or forty years resulted in abandonment of miles and miles of ROW, concurrent to the bicycle boom; the result is an incredible off-street bicycle trail system. 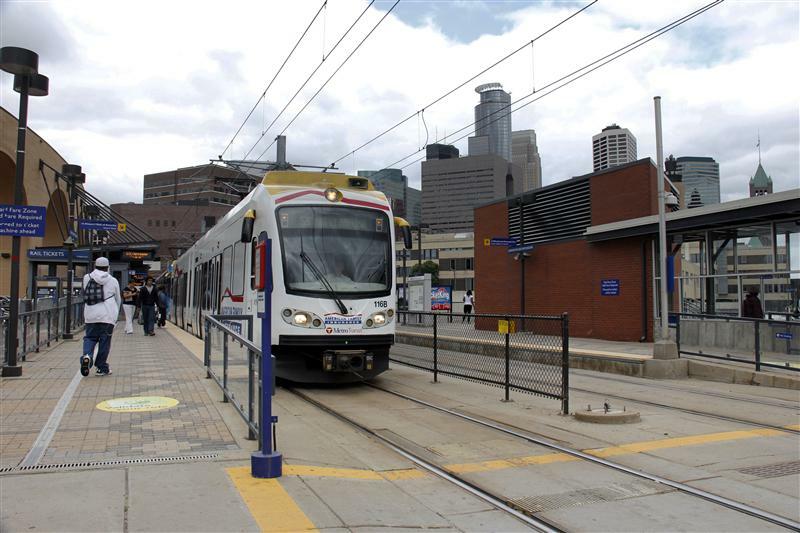 The Hiawatha line was too slow in coming, but it, too, is one of the best tings to happen to our city. Since it came in an age of bicycling, the cars are fitted with inside bike racks… I wish the streetcars had stayed; a Boston-like program of shifting them from streets to old RR ROWs would have been an excellent asset. 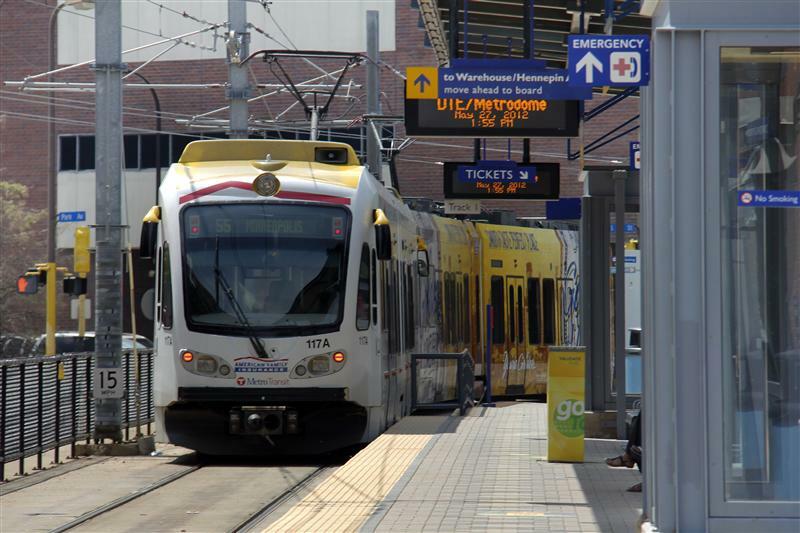 Instead our old PCC streetcars kept the Newark City Subway alive and well for almost fifty years… We now have a contentious, ongoing issue in LRT planning: a new line is to pass through a narrow stretch now occupied by a freight track + a bicycle trail. (Google Kenilworth Trail; SW LRT.) there are no easy answers. 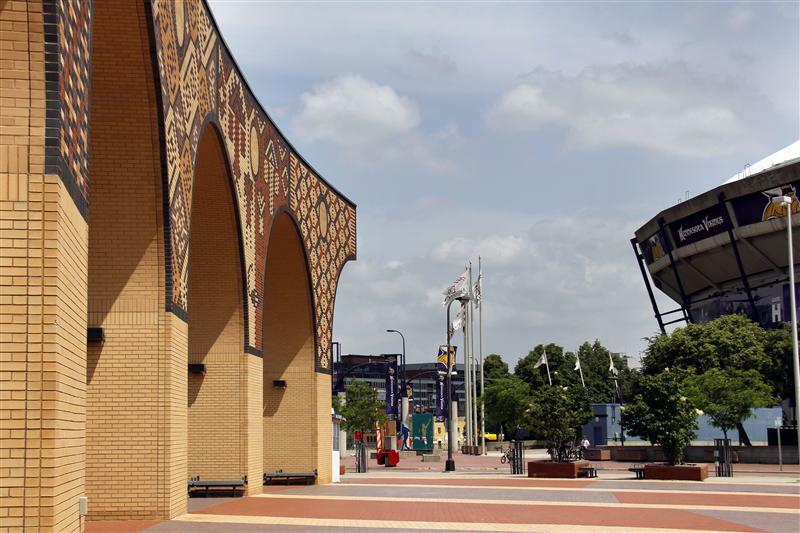 And the lovely arches at the Metrodome station are at least theoretically at risk of destruction for the new football stadium. I have seen architects’ drawings showing them gone, and drawings showing them still there. The Metrodome is presently being torn down. 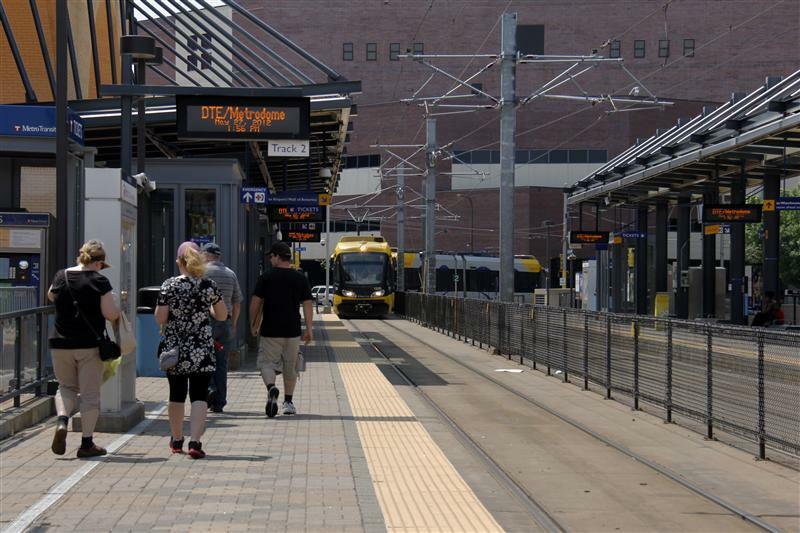 The adjacent LRT routes will stay put no matter what else happens. Your excellent and thoughtful map of the bridges has a couple of small errors: Dartmouth near Franklin is indeed I-94; although 40+ years ago it was briefly called the Dartmouth Place bridge before 94 was connected to both ends. Dartmouth Avenue, north of BNSF, is actually Plymouth Avenue. And in the second postcard view, the arched bridge is actually 3rd Avenue. 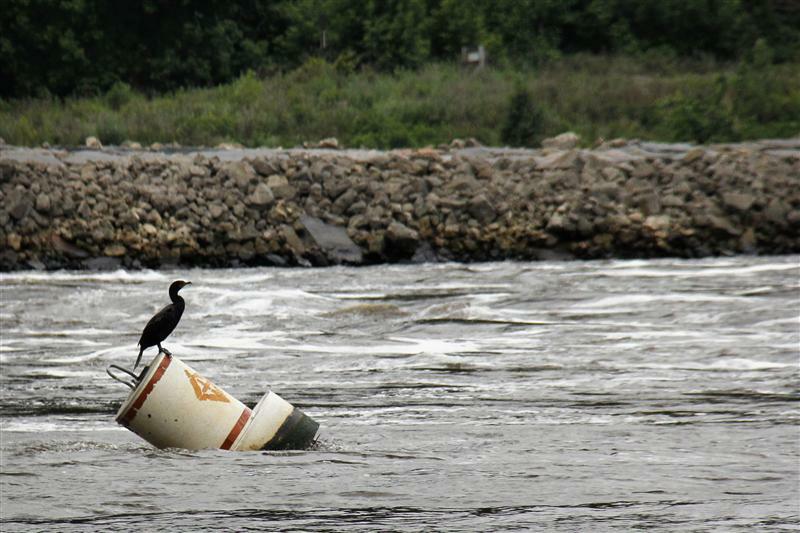 You’re looking upstream. 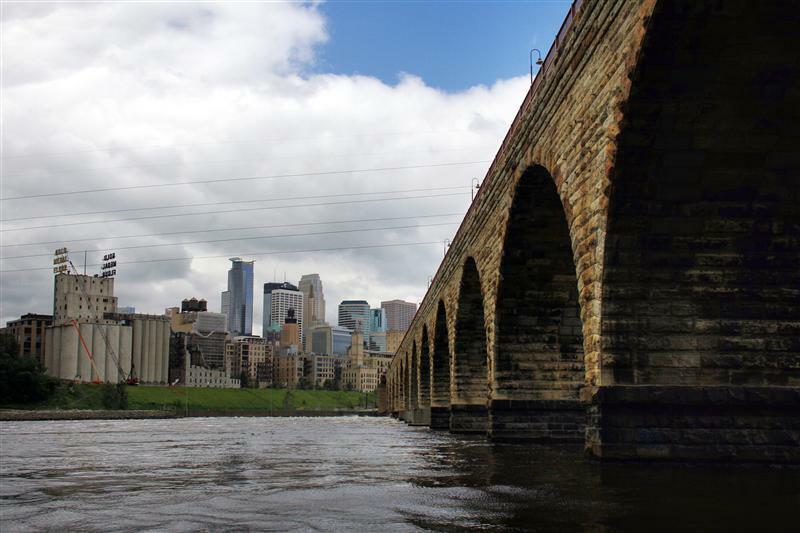 The 10th Avenue bridge, the doomed 35W bridge, the #9 bridge and all are downstream behind the photographer. That said, thank you for your wonderful blog. I look forward to reading more.